I am on the AI e-mailing list and receive many e-mails from them. I really feel that it's necessary to share this one with you. Hours before Israel announced a ceasefire, an Amnesty International fact finding mission gained access to Gaza. Their initial reports are disturbing: the team found first hand evidence of war crimes, serious violations of international law and possible crimes against humanity by all parties to the conflict. AI researchers continue investigating attacks against southern Israel and are currently documenting the true scale of devastation wrought on civilians in Gaza. The stories they report are harrowing. In the early afternoon of January 4th, three young paramedics walked through a field on a rescue mission to save a group of wounded men in a nearby orchard. A 12-year-old boy, standing by his house, assisted the operation by pointing to where the men could be found. An Israeli air strike on the area killed all four. The bodies of the four victims could not be retrieved for two days. Ambulance crews who tried to approach the site came under fire from Israeli forces. Our researchers later traveled to the scene of the strike with the two ambulance drivers who witnessed the attack. They met with the boy’s distraught mother and found the remains of the missile. 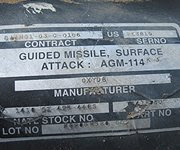 The label of the missile read, “guided missile, surface attack” and cited the United States as the country of origin. This is just one of many similar stories. Under the Geneva Conventions, medical personnel searching, collecting, transporting or treating the wounded must be protected and respected in all circumstances. Clearly, this was not the case on Jan. 4th. We have a small window of opportunity to build on this momentum: urge Secretary Clinton and Ambassador Susan Rice to push for a full-fledged independent investigation. This investigation is critical for many reasons, not the least of which is the clear evidence of the use of white phosphorous, as well as the mounting evidence of the misuse of US arms3. As you read this, Amnesty researchers continue documenting the use of arms, and we expect an action specifically calling on Congress to investigate the misuse of US weapons in this conflict in the coming weeks. Everyone is responsible for the protection of international law. The US government must not turn a blind eye to possible war crimes and crimes against humanity. It should support an independent international inquiry by the United Nations into allegations of violations of international humanitarian and human rights law - by all groups participating in the conflict. The story of the paramedics and the young boy is not an anomaly. Write Secretary Clinton and Ambassador Rice today and urge accountability for abuses in Gaza and southern Israel now.